Jessica Landerman is a Master in Public Policy candidate at the Harvard Kennedy School of Government. She is currently the Chair of Campus Climate for the Student Diversity Committee and the Chair of Media Advocacy for the Human Rights Professional Interest Council. Before pursuing graduate school, Jessie worked as a documentary filmmaker and a human rights advocate in Argentina, Nicaragua and the United States. She is passionate about using technology and communications to promote civic and political participation and empowerment, particularly among women and marginalized populations. 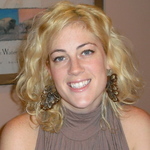 Jessie was born and raised in Durham, North Carolina, and received her Bachelor’s Degree in cultural anthropology from Wesleyan University in Middletown, Connecticut.